Finished at spenst for some strength. Pretty packed but found myself a corner. Høiåsmarka in the mist and rain. Half asleep after a long week. Training match against the 15yo guys. eeeh, they're annoyingly fast and teenager cocky. Very satisfying when you stop them in their tracks, very annoying when you don't. Played first half central mid, then second half left wing. A hell of a lot of running with not much ball on left wing. I guess that's my specialty though? Another day in the field. More hiking through snow. We used an old army truck with caterpillar tracks to compress tracks in the snow for us to measure in. However, kind of ironically, it's too warm, so the snow is melting rather than hardening and compressing. Gave up due to the low quality of the data. Don't see how the ERT measurements will go any better next week to be honest. Morning jog along the waterfront before travelling back to cold Norway. More fun alleyway stuff over in Il-Birgu. Man it feels good to be sprint orienteering again! Unfortunately, today I completely bailed over on my ankle entering #2, which crushed any chance of a full-speed race. Was back running a decent speed by #5, but lost significant time on 2,3&4. In any case it was cool, having to keep tight control on where and when to turn. I missed my turn on #7, and fell into the classic mistake (which many learnt yesterday), of reading a nice wide staircase on the map when in reality it's a tiny twisting staircase full of people. Dropped 20s on #7 because of this, but can't really complain as I avoided similar slip-ups yesterday (Natalia lost 30s in a never-ending wheel-chair ramp to heaven). Feeling pretty tired in the legs today, and am lacking that kick at the end. Both yesterday and today Kirsten put a couple of seconds into me in the last legs. 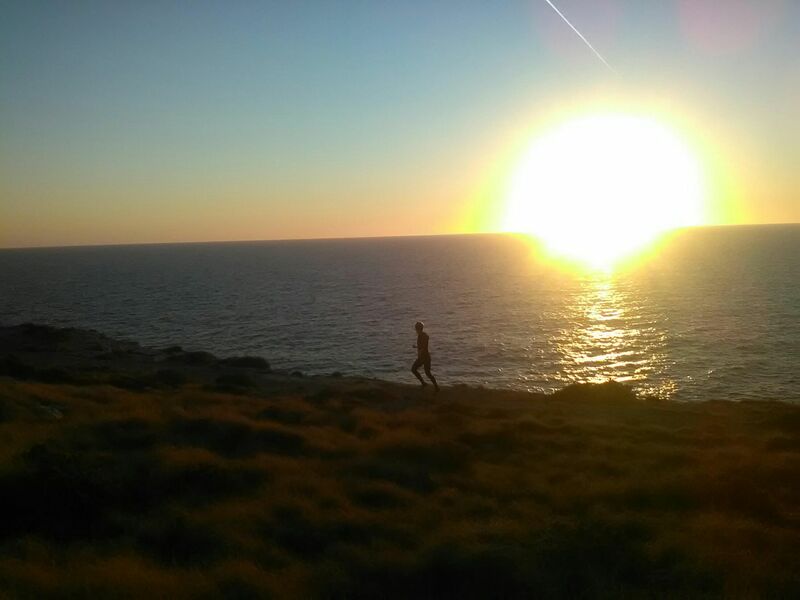 Jog with Natalia at Dingli cliffs. Stunning.